Wonder why the government is still shuttered? 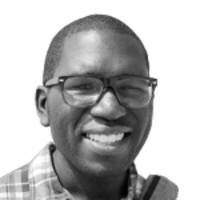 You may have missed this interview, writes Jamelle Bouie. To watch John Boehner speak Sunday—in a segment with ABC’s George Stephanopoulos—was to watch him issue talking points from another dimension, where legislative hostage-taking is routine and the American public is eager to threaten the full faith and credit of the United States. The interview was rife with dishonesty, but there were five statements—in particular—that stood out for their recklessness and/or brazen disregard for the truth. It’s hard to know where to start with this. The idea that the administration granted a blanket waiver to “big businesses” is absurd. The reality is that businesses with more than 50 employees now have until 2015 to comply with the employer mandate for health insurance. This affects a relatively small number of businesses, and is separate from the other employer-centered regulations in the Affordable Care Act. Public opinion is ambivalent on the Speaker’s assertion that Obamacare is a product the “American people do not want”—disapproval is substantial, but few people want the law repealed—and most analyses contradict the claim that insurance under the Affordable Care Act is unaffordable; in many states, premiums are much cheaper than expected. As for the union waivers decried by Boehner? They don’t exist. Just last month, in fact, the administration rejected a bid to extend subsidies to union members who receive employer-provided health insurance. There were fights over the debt limit during the Clinton administration, but in each case, the GOP either caved or offered extremely modest policy changes as the price for an increase. Unlike the contemporary GOP, there was no point when the Republican Party of the 1990s held the economy hostage to a repeal or repudiation of the incumbent president’s domestic agenda. This is demonstrably false. According to a “whip count” from the Washington Post, there are 20 Republicans—at least—who would vote for a “clean” continuing resolution, i.e., a bill that funds the government at the levels agreed to earlier this year. Almost all Democrats have signaled their support for a clean CR. Together, those lawmakers could end the shutdown if Boehner would put a gimmick-free continuing resolution to the floor. Which, of course, is why it’s not going to happen. We know that the threat of default is enough to tank the nation’s economy. Talking like Boehner does in this interview is the political equivalent of playing with fire while standing next to oily rags and several barrels of gasoline. It’s a disaster waiting to happen. Not only is this not true—as we discussed earlier—but it’s a terrifying promise of future dysfunction, which explains President Obama’s decision to hold firm. If he bends to Republican demands, he guarantees a future where legislative minorities are free to threaten the economy and demand concessions from the majority. It’s a full assault on our Constitutional norms, and Obama is right to challenge it.